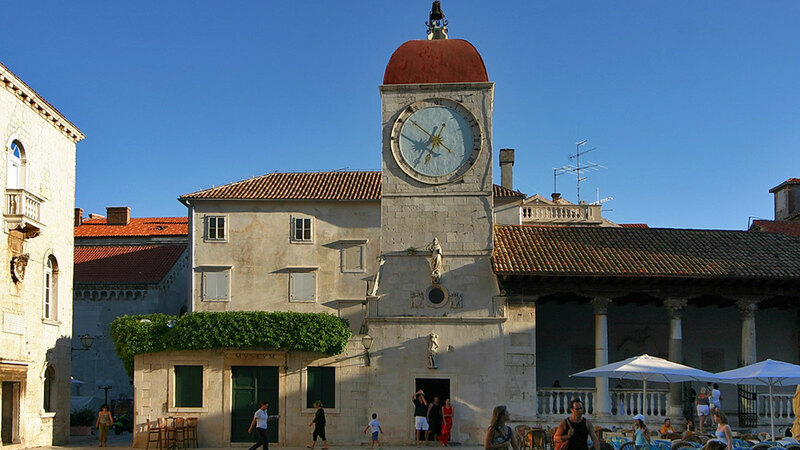 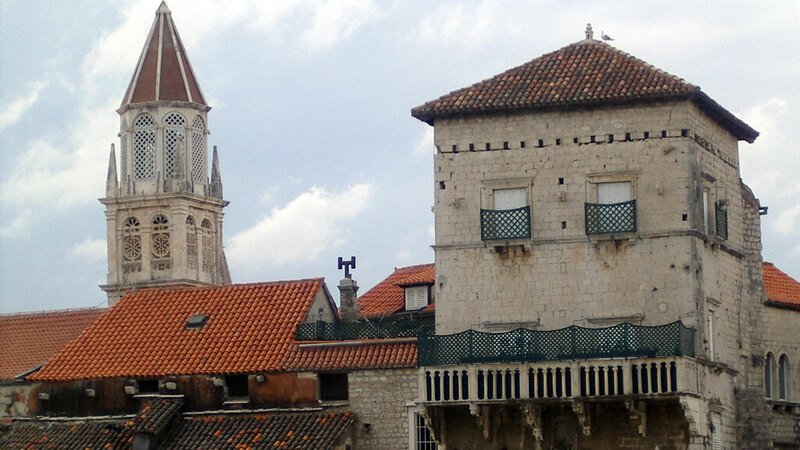 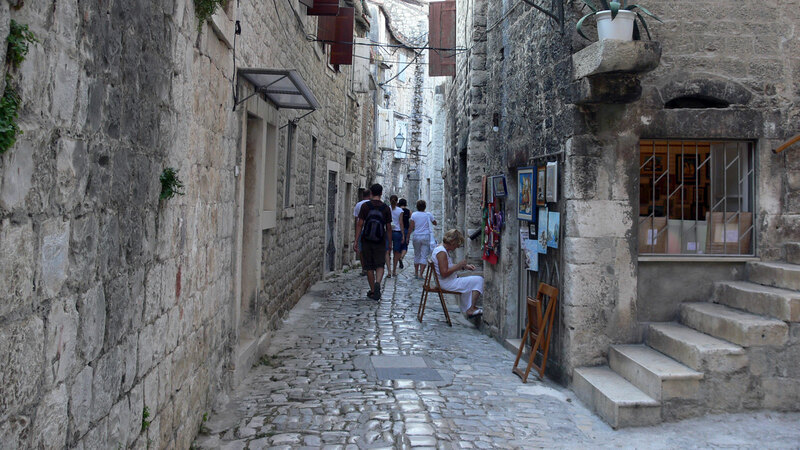 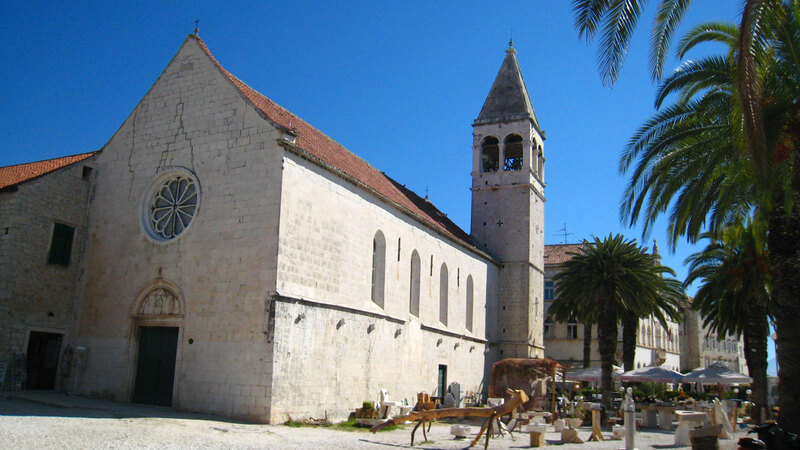 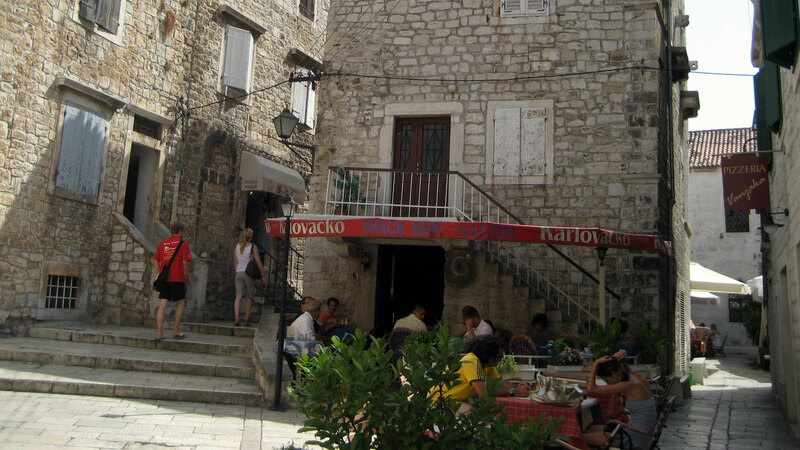 Trogir is a town-museum in the very meaning of the word. 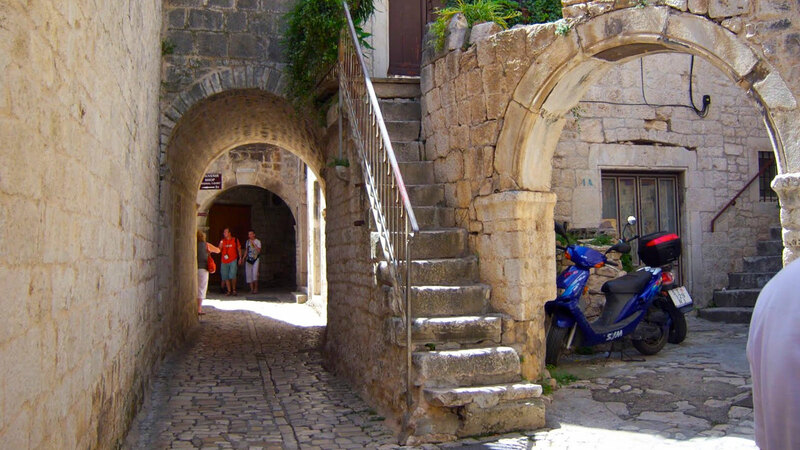 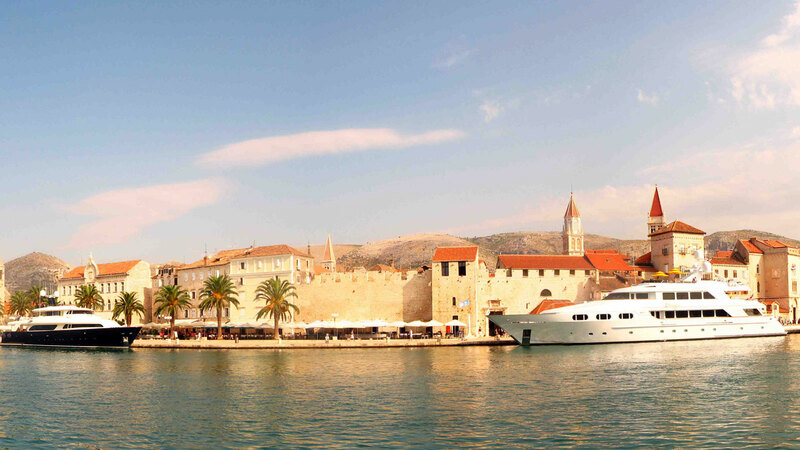 Lovers of cultural and historical monuments, art, original architecture and nice alleys are given the opportunity in Trogir to learn about the manifold and complex heritage - from the Romanesque yard to the modern interiors. 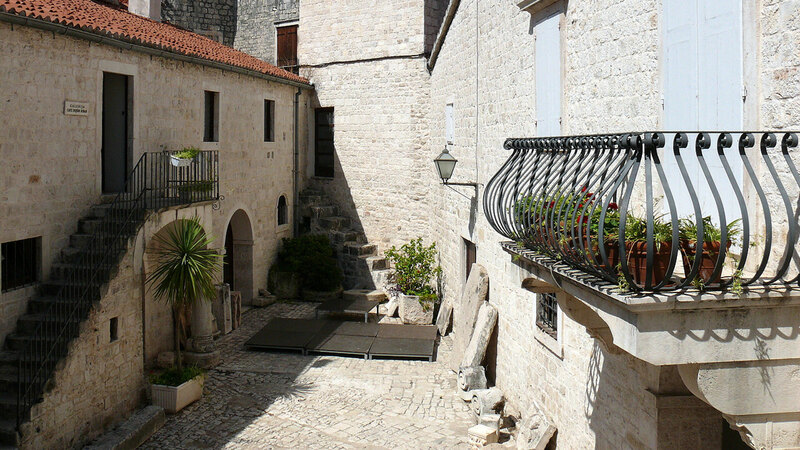 The unique historical core, Radovan's portal, the art collections which have been arousing excitement among visitors and travelers for centuries offer a tourist beauty, personified in the relief of Kairos as an appropriate souvenir. 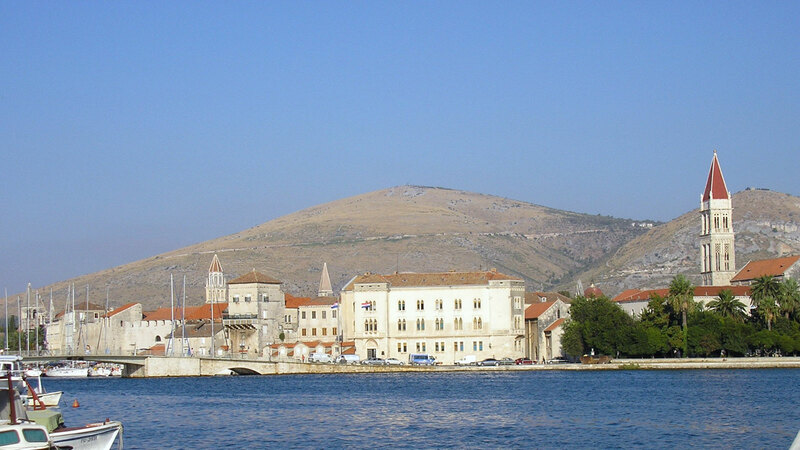 The wider surroundings of Trogir (Trogir - Seget - Ciovo Riviera) is characterized by lavish green vegetation, numerous islands and islets, rocky and pebble beach’s. 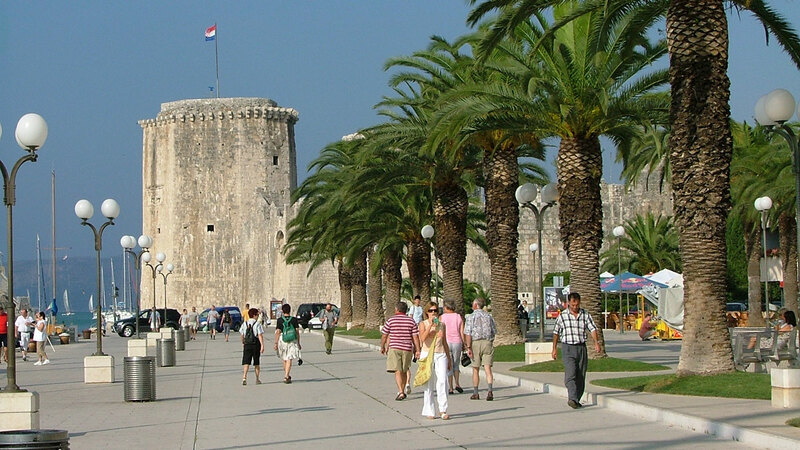 Apart from the high quality accommodation - hotels, boarding houses, apartments, campsites, delicious domestic food, fish dishes in particular, the sports and recreation offer includes many opportunities - tennis, bocce, bowling, jogging, surfing school, diving. 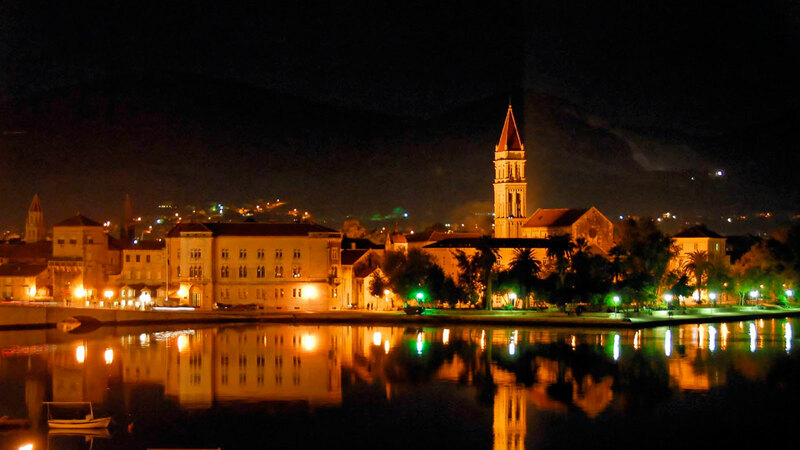 Entertainment includes lively fishermen's nights and folklore show but also classical music concerts in special scenic sets of the town. 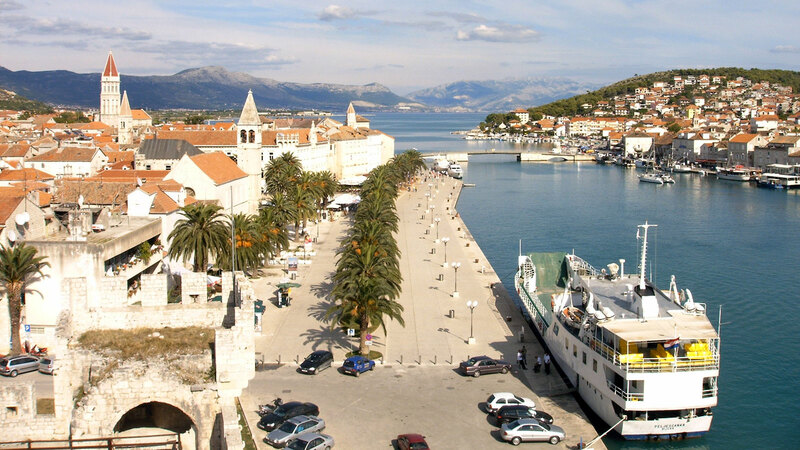 Trogir, a town and harbor on the coastal strip of the Kastela Gulf, 27 km west of Split. 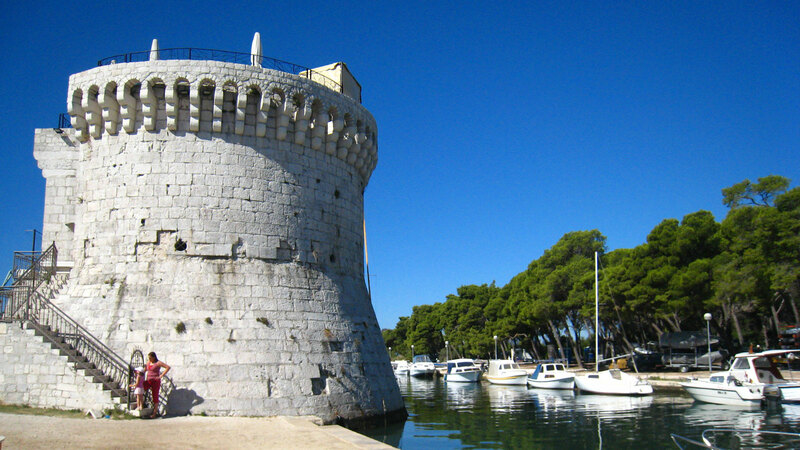 The old core is situated on a small island between the island of Ciovo and the mainland; connected with the mainland by a small stone bridge and with the island of Ciovo by a drawbridge. 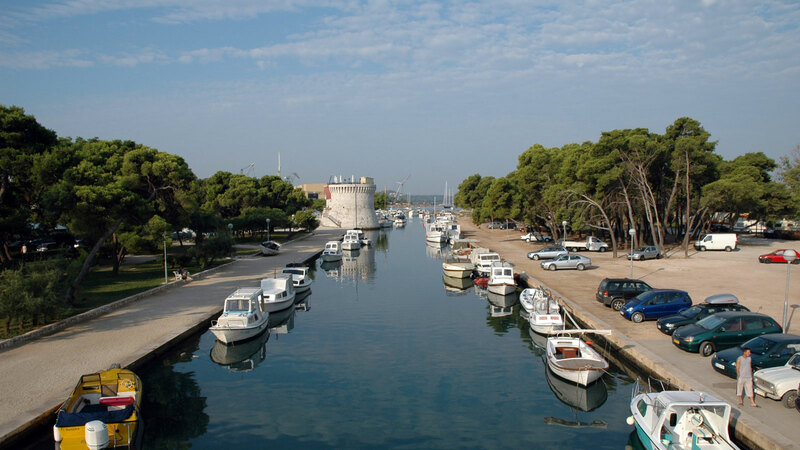 The town spreads to the northern coast of Ciovo, opposite the small island. 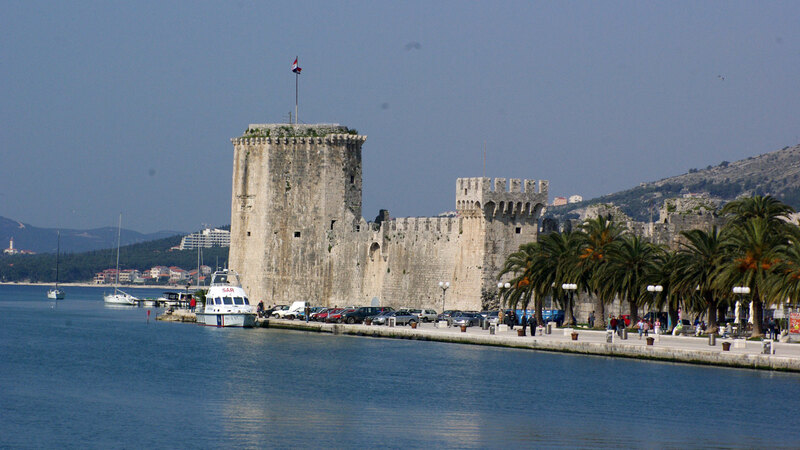 Chief occupations include shipbuilding, tobacco, pharmaceuticals and tourist trade. 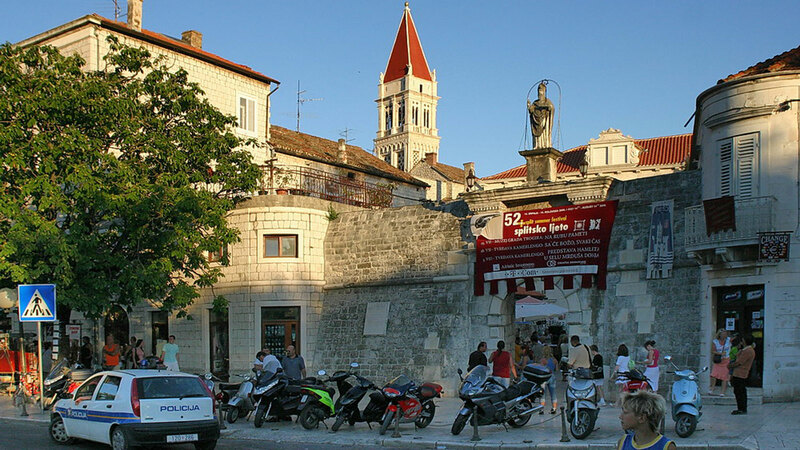 Trogir lies on the main road (M2, E65). 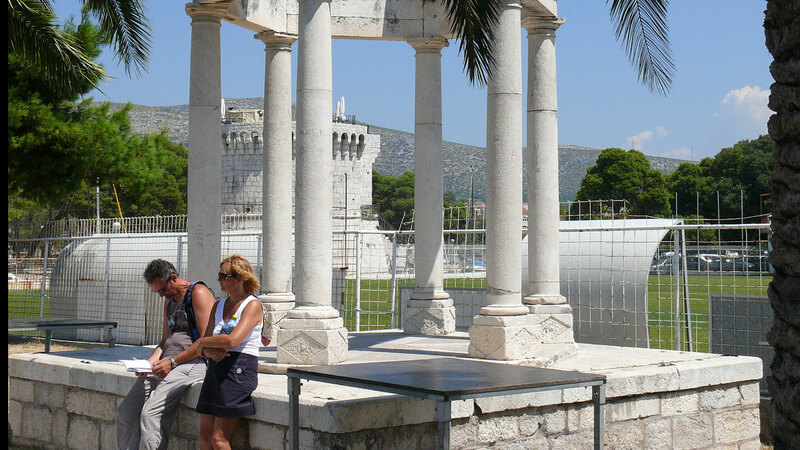 Split Airport is in nearby Resnik. 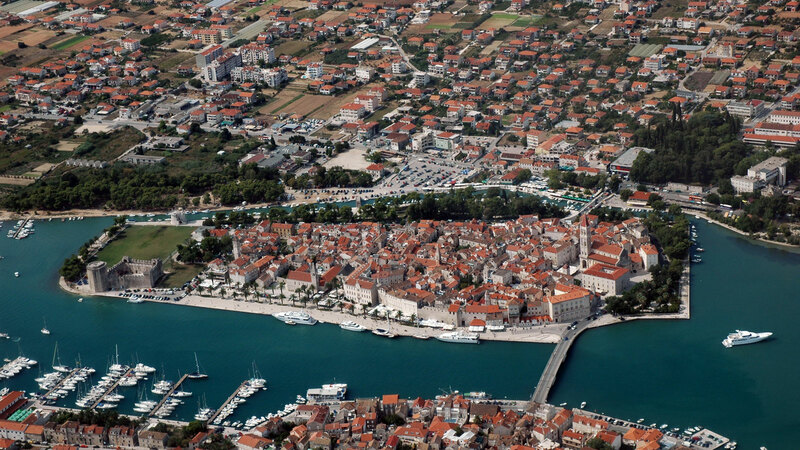 Trogir Marina is situated on the northern coast of the Ciovo island, between the bridge of Trogir and Cape Cubrijan.